Leading technical experts were joined by over 60 delegates for our second Technical Seminar. There was a wide-ranging and interesting debate on the major technical issues facing food businesses today. The seminar focused on issues that are currently having an impact on businesses and solutions that are available to help current challenges. 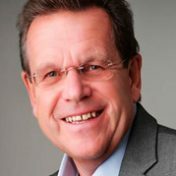 David Fatscher, Head of Market Development & Richard Werran, Director- Food, British Standards Institution – How can business ‘raise the standard’ in uncertain times? Professor Carol A. Wallace, Professor of Food Safety Management Systems, University of Central Lancashire – A Food Safety Culture – What is it and Can it be Measured? Dr Donna Champion, Nottingham Trent University & Dr Rachel Ward, R Ward Consultancy Ltd – Blockchain / Traceability – What’s the Difference? 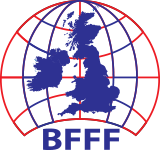 A huge thank you to all who attended the first ever BFFF Technical Seminar in 2018 – which was a resounding success. Elspeth Macdonald, Food Standards Scotland – What are the Priorities for Scotland? Eoghan Daly, Crowe Clark Whitehill LLP – What IS Fraud? Matthew Sharman, Sharman Scientific – How Can Emerging Technology and Expert Knowledge Improve Future Food Safety and Quality Measures? We would like to again thank our sponsors for the seminar, Air Liquide.